I was a born in the early days of the Vietnam War, so much of those early war years went unnoticed…by me anyway. The war official began on November 1, 1955, but there was much turmoil in the years leading up to the actual beginning of the war. It was an unpopular war, and probably the biggest news in the United States was the many protests against the war. Nevertheless, there were some big operations that took place in the Vietnam War years. One such operation was Operation Plan (Oplan) 34A, and it was initiated on February 1, 1964, by the United States and the South Vietnamese. The plan called for raids by South Vietnamese commandos, operating under American orders, against North Vietnamese coastal and island installations. In this operation, the American forces were not directly involved in the actual raids, but United States Navy ships were on station to conduct electronic surveillance and monitor North Vietnamese defense responses under another program called Operation De Soto. The Oplan 34A attacks played a major role in events that would eventually lead to what became known as the Gulf of Tonkin Incident. 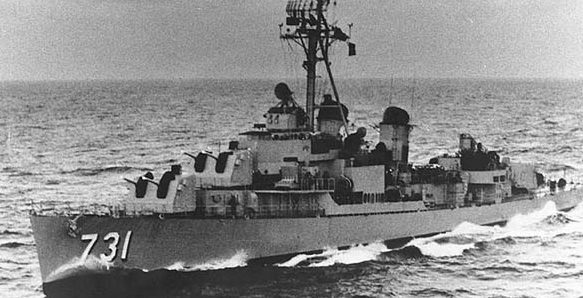 On August 2, 1964, North Vietnamese patrol boats, in response to an Oplan 34A attack by South Vietnamese gunboats against the North Vietnamese island of Hon Me, attacked the destroyer USS Maddox. The Maddox was conducting a De Soto mission in the area. Then, just two days after the first attack, there was another incident, but that attack remains unclear. The Maddox, joined by destroyer USS C. Turner Joy, engaged what were thought to be more attacking North Vietnamese patrol boats. There is some question as to whether or not the second attack actually happened, but the incident provided the rationale for retaliatory air attacks against the North Vietnamese and the subsequent Tonkin Gulf Resolution. 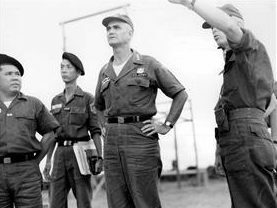 That became the basis for the initial escalation of the war in Vietnam, and ultimately brought about the insertion of United States combat troops into the area.